By now we are sure many of you are ready for Spring and the 2016 race season. We are too! Below are a few topics we thought you would find interesting and informative. Please let us know if there is anything you need as you prepare for the 2016 race season. We are excited to launch our newest race, Swim Fest at Luray, modeled very closely off of Swim Fest at Fort Ritchie. Registration opened last week and there is still time to secure the early pricing if you register before March 1. Click here for details. We are thrilled to be chosen for two championships this year by the USAT Mid-Atlantic Region. We created two new pages so you can learn more about these championships. Click on the logos above to see the details. 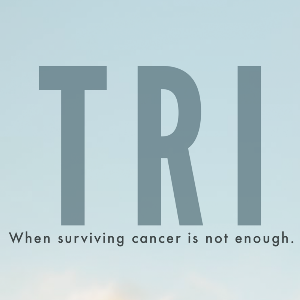 If you missed the first trailer for the movie TRI, check it out here. We are excited to have the Luray Triathlon featured in the movie. The film crew was on location for the 2015 Luray Triathlon. We will keep you informed on the movie’s release this Spring. The all new Hawksbill Brewing Company, located in Luray, VA, is our new Double Sponsor. We are naming the ever popular two race double as the “Hawksbill Double”. As always, those who complete the Hawksbill Double will enjoy an additional finisher award. For more details visit here. 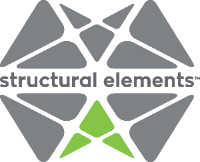 Structural Elements is a season sponsor. They will be at all of our races offering free Normatec recovery compression boot demos and other services which will be discounted for friends of Luray Triathlon. 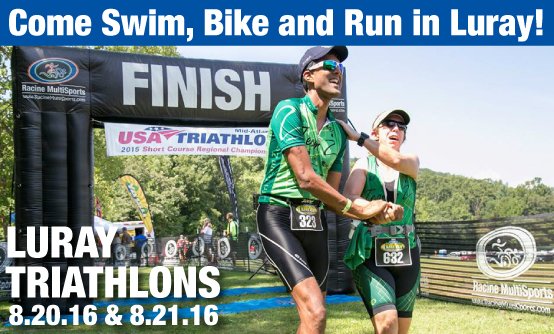 Don’t miss out on the latest news and updates on the Luray Triathlon…like us on Facebook and Twitter.